Our exquisite Haven bracelet seems to infuse its wearer with powers from other centuries, wisdom of the ages, and light from the cosmos. 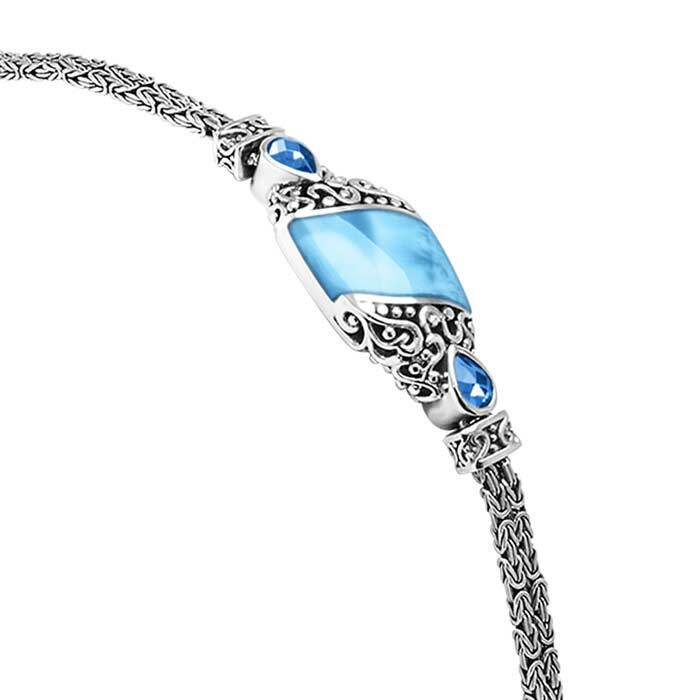 Its band of intricate filigree, an outrageous slice of larimar, and the attendance of two teardrops of blue spinel elevate your look to a whole new level. How’s the air up there? Product Details: Larimar gemstone with blue spinel and sterling silver.